Why change your WordPress permalink structure? A common thing we see in permalink structures are the usage of dates. For websites that post content that is related to current events, such as news sites, this makes perfect sense. However, for most blogs, the content is usually “timeless” as it tends to cover subjects that doesn’t relate to a specific date in time. 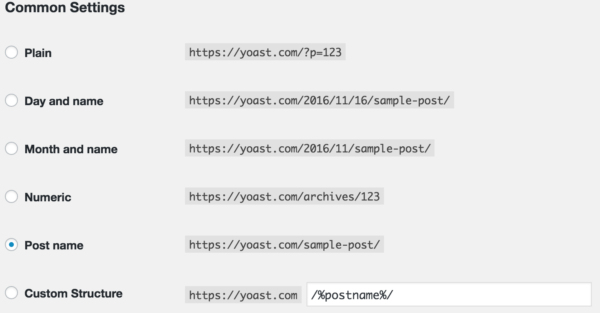 Using dates in your permalink structure also tends to have another side-effect, namely a lower CTR for older posts that may very well still be relevant. Whenever someone sees a result in Google with a date pointing back two years ago, they’ll be less likely to click that result. Seeing as Google uses this CTR for page rankings, it might be a very good idea to change your permalink structure to something more appealing to your visitors! But what about all those old posts that still have dates in their permalink? With this handy tool, you can easily have a redirect generated that can be placed in your .htaccess file. This will point posts using the old permalink structure, to the new one. Please note that the tool currently only supports Apache-based servers and not Nginx. After copying the redirect over to your .htaccess file, you should go out and test if everything is working properly. If the redirect doesn’t seem to be working, it could mean that you’re not allowed to use RedirectMatch on your Apache server. How do I tell Cloud Translation API to NOT translate something?